In today’s industry, chemical uniformity and quality play major roles in defect reduction and overall supply-chain costs. While there have been major advances in metrology in recent years, they tend to vary in many areas and principles, and none are a fit for all solutions. CMP Process characterization and metrology selection play an increasingly critical part in ensuring product health and uniformity in blending and dispensing of these solutions. Through this practice of characterization, it is possible to use simple metrology devices or combinations of such devices to achieve the best control and monitoring results. For example, Refractive Index (RI) is a continuous, non-consuming optical measurement, which helps factories monitor cmp slurry composition in real time, reducing the amount of process material at risk. 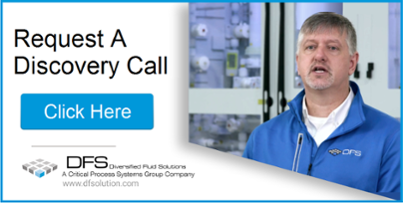 RI is used to qualify not only the final product for supply, but also monitor batch-to-batch variations of incoming slurry and validate the blending steps. When other metrology instruments are added, a complete process view can be seen and used in real time to control the processes. Mobile chemical blending and dispensing systems (MCBS) support these characterization and recipe-supply efforts effectively. MCBS systems provide technology flexibility that allows a user to stay ahead of the dynamic process changes they face. Using the MCBS platform, users can develop optimal formulations and control parameters around any part of the chemical formulation. This provides the freedom to optimize onsite, in real time, and maintain the proprietary CMP process secrets as internal IP - ultimately delivering the benefit of in-house development, while enabling chemical source independence. DFS is a constant student, we study, you get the benefit of our education.